Joint conference of the Institute for the Study of Religions of Leipzig University and the Humanities Centre for Advanced Studies "Multiple Secularities - Beyond the West, Beyond Modernities". Convenors are Katharina Neef and Horst Junginger. The conference is supported by the DFG (Deutsche Forschungsgemeinschaft). In recent years, secularist activism has been generating considerable interest in terms of historical research. Whereas freethought organizations, their protagonists, and their discussions were intensively investigated, there is up to now scarce discussion on concrete attempts to melt secular positions into a certain lifestyle. Therefore, this international conference focusses on the practical level: What did these secularists actually do? What meant living a secular(ist) life? Furthermore, we evaluate the narratives that were used to legitimize these practices. A central point of reference will be their relation to religion, be it in a positive, affirmative way, be it negatively rejective. The conference will trace these constellations in an international and comparative framework, thereby making apparent differences and similarities of the secularist approaches in the run of the late 19th and 20th century. Our aim is to cast light on the development and critical potentials of the religious and cultural setting that moulded the normality of modern secular lifestyles. The conference is open to a limited number of listeners. If you are interested, please contact Katharina Neef via email. 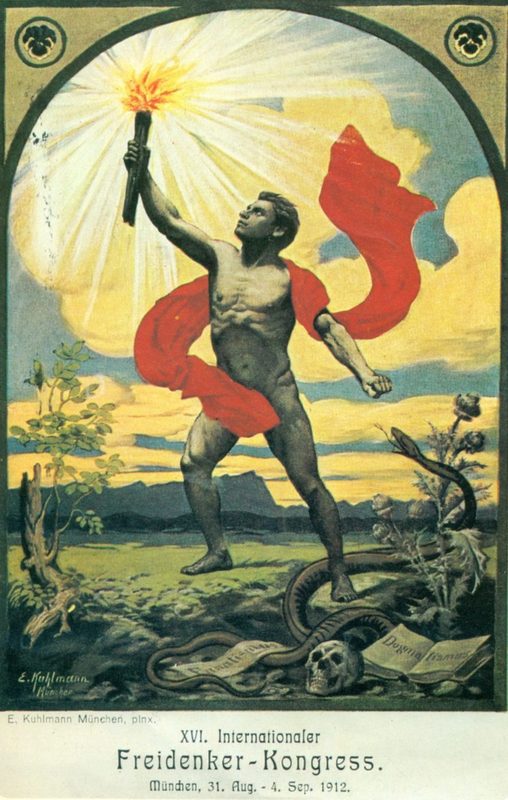 Poster of the "XVI. Internationaler Freidenker-Kongress. München, 31. Aug. - 4. Sep. 1912", illustrated by E. Kuhlmann.